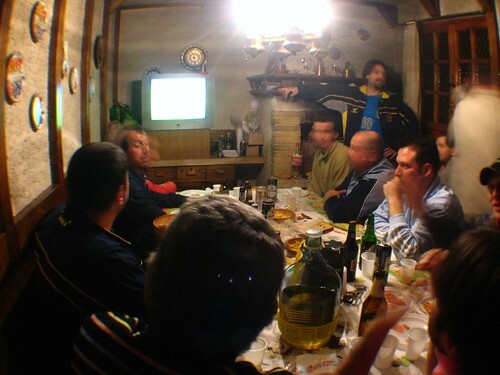 I got an email from a Couchsurfing member today, and ended up in Cervignano in a house full of avid soccer fans. 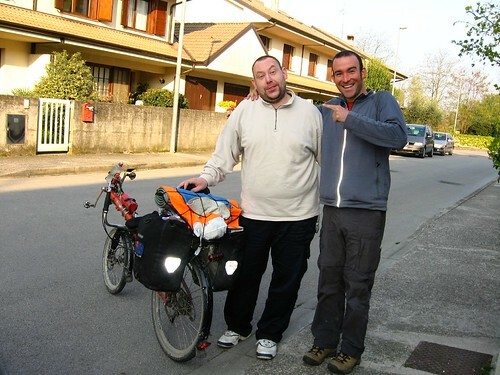 My host for the night was Filippo, and what’s more, I was his first ever guest. Big thanks to Filippo and the Cervignano Amateur Football Club for taking me in and feeding me and giving me a place to sleep. Filippo doesn’t always look this crazy. This is the funny photo version of our photo together. 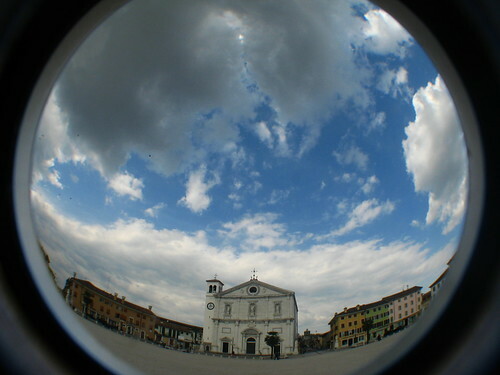 I leave you with some photos and a vid from Palmanova, the craziest city ever. It is perfectly symetrical, in a round shape. We're all well rounded. Some moreso than others. Have you developed an interest in the 'beautiful' game? There seems to be enough crazy people and/or hooligans follow that game already, so don't feel obligated to joining those fanatics. You can continue in your own form of crazy eccentricity for as long as you like. Don't be upset that I continue in my 'little ways' either.